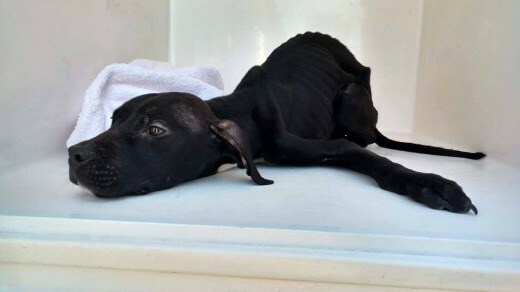 And so Opie, a five-month-old puppy who never did anything other than to have been born, has been neglected to nearly death. Weighing only ten pounds and with a body temperature not even registering on a thermometer, had it not been for the kind staff at the Fulton County Animal Shelter reaching out to Jackie and Rescue Dogs Rock NYC, Opie would have been another tragic victim of animal cruelty. On Wednesday, Opie’s update states he remains in critical condition and is on intravenous nutrients and pain medication. He has been administered a plasma transfusion, but veterinarians have expressed their concern that Opie may have a possible obstruction. At this time, this puppy’s prognosis is unknown. Say a few words of hope for this sadly neglected victim of egregious animal cruelty won’t you? To help Opie, donations can be made by PayPal donate@rescuedogsrocknyc.org or RDR NYC PO BOX 101 NY NY 10028. Photos and video of puppy neglected courtesy of Rescue Dogs Rock NYC. 0 Response to "Who Could Watch This Puppy Be So Neglected? Say Rescuers"